Emile Henry Pizza Stone Giveaway! Giveaways are definitely a little out of character for me, because I am really skittish about self-promotion. However, I have an extra Emile Henry pizza stone that is in unopened and pristine condition. It pains me to think that it’s being wasted right now, and I want to find it a happy home. 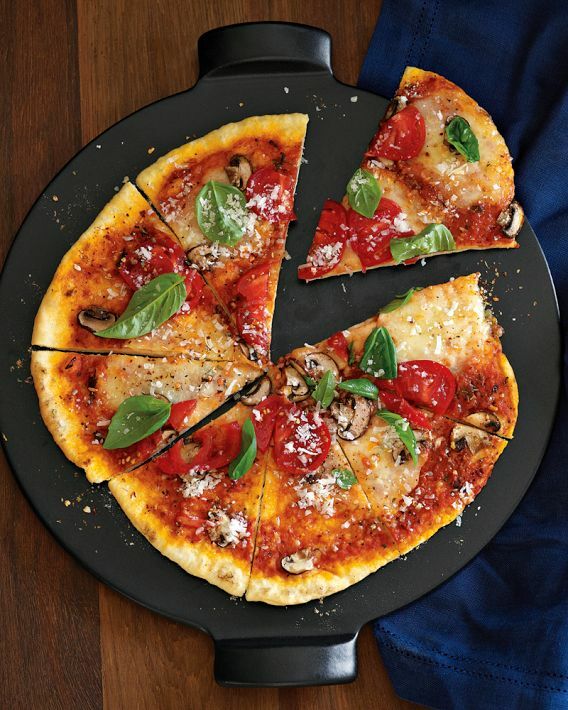 I own one of these pizza stones and I absolutely adore it. You can check out the reviews on Williams-Sonoma where it was originally purchased. If you haven’t already, “like” All Things Simple Blog on Facebook. I will announce the winner here. A winner will be drawn at random and I will announce the results on Monday, December 5th. Good luck! Wow that Christmas Eve dinner sounds SO delicious! Shrimp, scallops, sausage, and squid ink pasta!? Italians know how to do it right. 🙂 I love hearing about family food traditions–thank you so much for sharing. And happy holiday-prepping to you too! I am sure your homemade vanilla will be a hit. Thank you for entering the giveaway! So jealous of those handmade tortillas–they sound so good right now! Tortilla making really is an art, and that is so cool that you are learning from your grandma. Once you master the recipe and pitty-pat technique, you will have to share your secrets with me! 🙂 I’d love to grab coffee when you are in town! We will actually be moving down to San Francisco right before Christmas, but hopefully our schedules will align! Oh wow! I come up on the 22nd, you’re probably slammed, but if you have ANY free time shoot me an email- hopefully we can grab a quick coffee! I’m actually originally from San Fran and still have family there. You’ll love it, such an amazing city! Congrats! I want to try making a salted caramel apple pie this year. I just need to find a good recipe. How funny–I have actually been wanting to give this a try as well after seeing it mentioned on a Cooking Channel show! If you find a good recipe, please let me know. I will do the same. Thanks for entering the giveaway!